Honestly, I don’t get tired of planning the boys’ birthday parties. This is different than saying I don’t get tired executing my own plans, which I do, but the ideas are so endless and inspiring, so I hang in there, and their happy faces are always the best reward! This year, L wants a Ninjago birthday. I have to say that Lego’s marketing strategy is truly brilliant – combine Lego, a fantastic toy, with every possible boyish fad – Star Wars, Harry Potter, Pirates, Lord of the Rings, and Ninjas! It’s irresistible, as the clutter in the boys’ room will attest. I’ve mentioned that I try to do a larger and reusable treat in place of a goody bag of small items. This time, I wanted to make the boys Ninjago T-shirts. 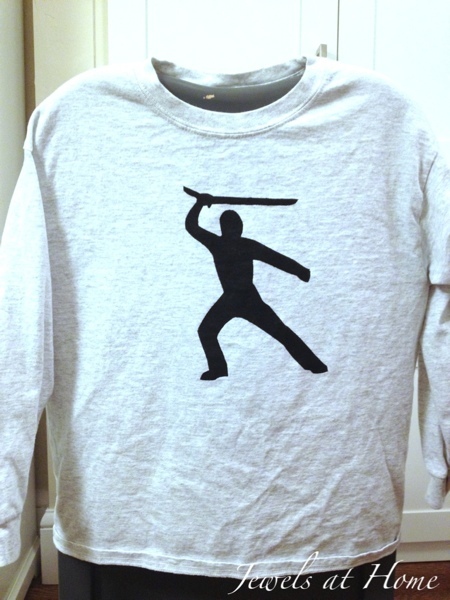 You can actually find T-shirts for sale for a reasonable price, if you keep your party small, but 1) I wanted long-sleeved shirts, since our weather is temperate year-round and 2) I think everything is more fun when you make it yourself! I got the shirts at BlankShirts.com. I’m not affiliated with them or anything – I just figured I’d share my research in looking for inexpensive blank shirts. You can get short-sleeved shirts for as little as $2. I got these long-sleeved ones for about $8. I’ve also found some on clearance at Lands End for as little as $5, but you won’t get the same range of colors there. Here are the instructions for the stenciled T-shirts. I’m really thrilled with how well they turned out, and it was quite easy! I’ll post the Ninjago eyes when they’re done. 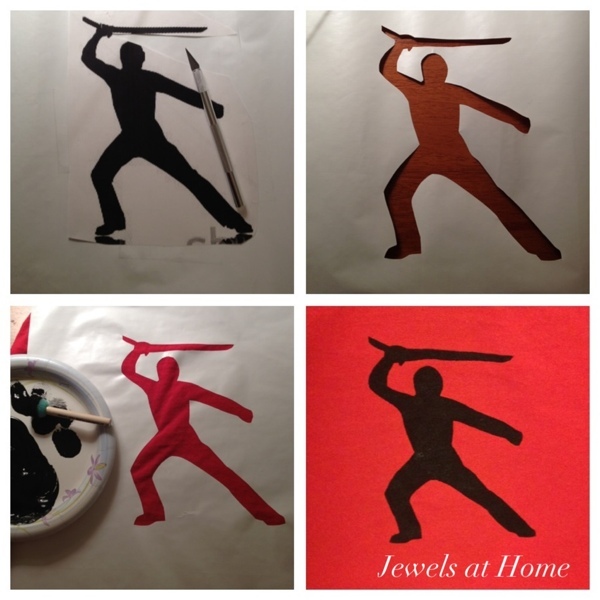 Choose a ninja silhouette from the Internet and enlarge it. Use a stencil brush or sponge to apply black fabric paint. Remember to use small amounts of paint at a time and “pounce” up and down, so paint doesn’t bleed under your stencil. Remove the stencil. I was able to reuse it a few times. 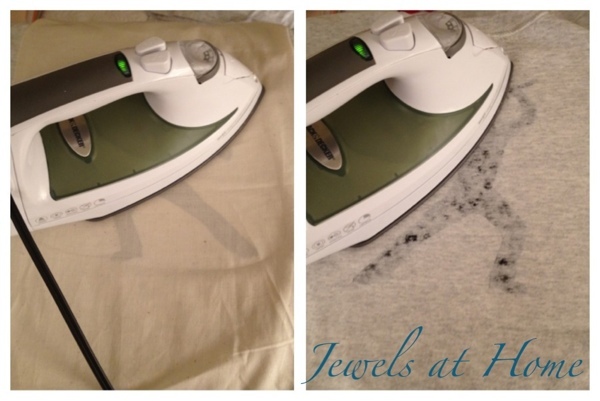 Your pattern will last longer if you wash it inside out. Yay! The pattern on these came out very crisp and looks great. I’m already thinking of other patterns to try! 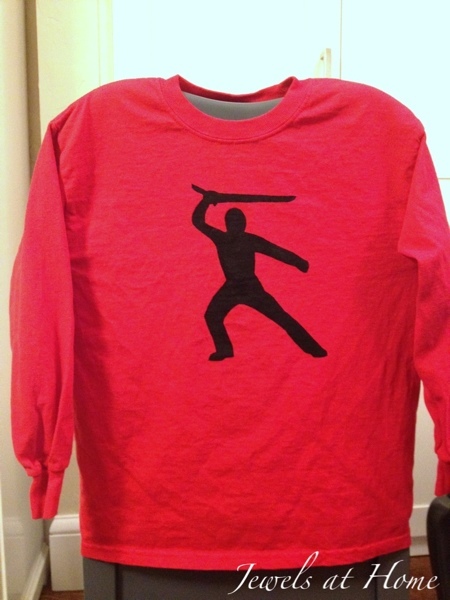 More ninja-themed T-shirts coming up soon! 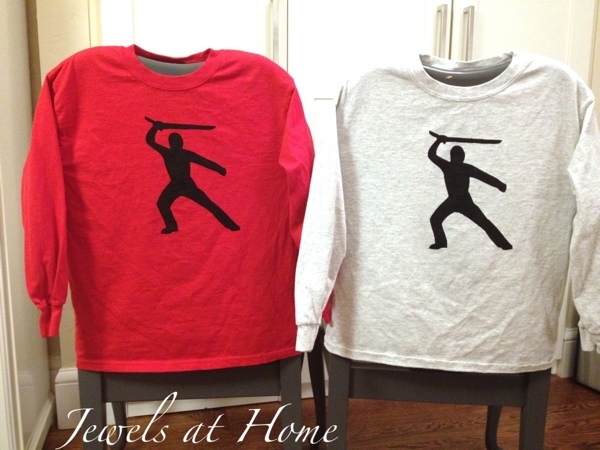 My boys would have loved these shirts and a Ninja themed party when they were little!